Huntington Beach, California. January 22, 2019 (Rocket Lab PR) – Small satellite launch company Rocket Lab announced today that its first mission of 2019 will be a dedicated launch of a 150kg satellite for the Defense Advanced Research Projects Agency (DARPA). The mission highlights US Government demand for the type of responsive, ultra-flexible and rapidly acquired launch service that characterizes the Rocket Lab launch experience on Electron. DARPA’s Radio Frequency Risk Reduction Deployment Demonstration (R3D2) mission is scheduled for launch in late February and intends to space-qualify a prototype reflect array antenna to improve radio communications in small spacecraft. The antenna, made of a tissue-thin Kapton membrane, packs tightly inside the small satellite for stowage during launch, before deploying to its full size of 2.25 meters in diameter once it reaches low Earth orbit. This high compaction ratio enables larger antennas in smaller satellites, enabling satellite owners to take advantage of volume-limited launch opportunities while still providing significant capability. The mission could help validate emerging concepts for a resilient sensor and data transport layer in low Earth orbit – a capability that does not exist today, but one which could revolutionize global communications by laying the groundwork for a space-based internet. 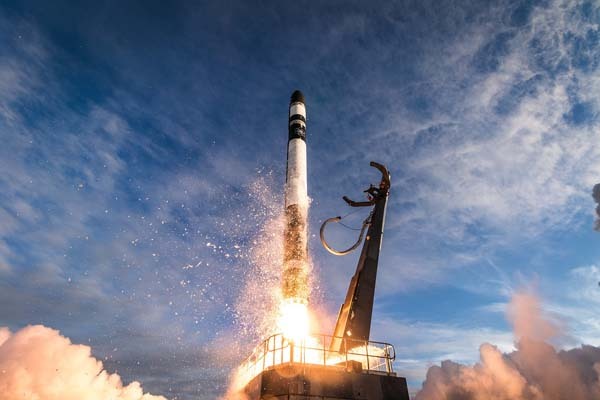 The mission, the first of monthly Electron launches this year, will lift-off from Rocket Lab Launch Complex 1 on the Māhia Peninsula of New Zealand. To ensure precise insertion and responsible orbital deployment, the R3D2 payload will be deployed via the Electron Kick Stage to a circular orbit. Using this unique launch method, Electron’s second stage is left in a highly elliptical orbit where the stage is subject to significant atmospheric drag, causing it to de-orbit and burn up to nothing in a reduced time frame. The Kick Stage is then used to deploy the satellite payload to a precise orbit, following which the Kick Stage can perform a de-orbit burn to speed up its re-entry, leaving no orbital debris behind in space. The Rocket Lab Electron launch experience is the world’s first customized small satellite launch service. With the choice of two Rocket Lab launch sites, and the ability to rapidly launch to orbit as frequently as every 72 hours, each mission is tailored to the customer requirements. For the first time, small satellite customers are enjoying unmatched flexibility, responsiveness and control over their own orbit. Well, no, actually, it isn’t. Yep, nothing unusual about the launch of a U.S. military satellite from New Zealand given how close the two nations are. Well said, Thomas and Richard. The US, New Zealand and Australia formed the ANZUS pact in 1951 and represents the close ties between the three nations following the events of the Second World War. New Zealand’s nuclear free zone policy caused some problems for the pact in the late 20th Century, but, that has become old news and culturally the three nations are still on the same page and maintain close ties. Regards, Paul. The U.S. military still accounts for a lot of total world spending on space-related stuff. No surprise this looks attractive to companies started by nationals of allied nations. But Rocket Lab’s “American-ness” goes a lot deeper than a U.S, corporate charter. It manufactures engines and avionics in Huntington Beach, CA. There are much older and bigger companies that “reflagged” to pursue U.S. government business. Maxar used to be the Canadian company MDA before acquiring both Space Systems Loral and an American CEO a few years back. Given DoD’s recent strong interest in all U.S,-based smallsat launcher companies I wouldn’t be at all surprised to see some of the European, or even Japanese, smallsat start-ups looking to make comparable changes in the near future. Well here in NZ there have been voices of concern raised. From National Radio to other Stuff, murmurings of discontent are being raised across the land.